~ FACTUS 50 CD W.O. #8541-1 Manufactured in U.S.A. by Laservideo Inc.
* Limited pressings in translucent green, red (rare) and purple (rarest) vinyls. 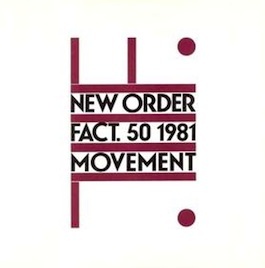 ** Factory/Rough Trade releases with FACT.50 on front. Later cassette edition had FACT.50c on front. *** Later CD editions had FACD.50 on front. The discs and cassettes differ, too. + FACT.50 on front, "A Factory Compact Disc Distributed in the USA by Rough Trade" on back. ++ FACD.50 (and reversed F and L and dots) on front, "A Factory Compact Disc" on back. +++ FACD.50 (and corrected artwork) on front, "A Factory Compact Disc" on back.